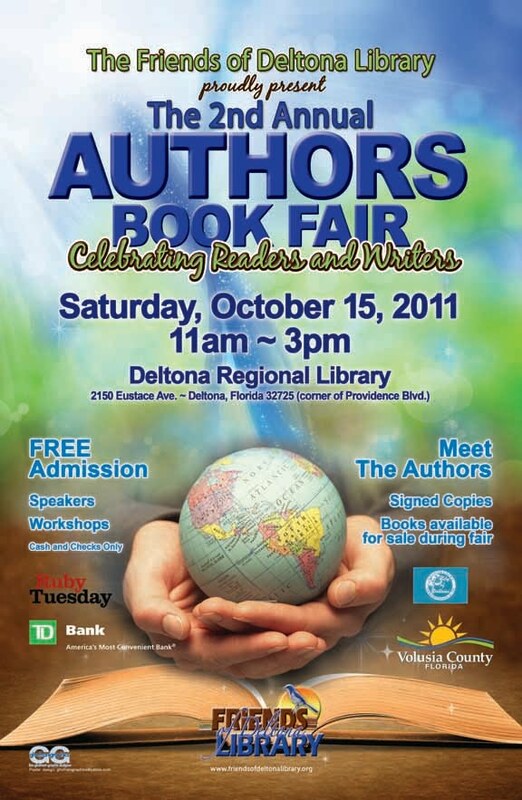 The Deltona Regional Library’s second Authors Book Fair: Celebrating Writers and Readers will take place Oct. 15, 2011, in the library at 2150 Eustace Ave, Deltona 32725. The event features two outstanding speakers presenting workshops that are open to the public. 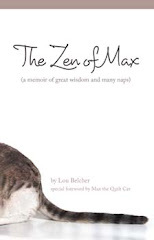 8:45 am The Seven Steps to a Wildly Successful Book Tour with Sarasota book tour veteran Liz Coursen author of “The Complete Biography Workbook." Coursen will discuss the steps an author must take to organize and implement an efficient, effective book tour based on her recently concluded 81 event tour. 9:45am Pamela Starr, Regional Development Director for Constant Contact who will be conducting a workshop entitled: How (and why) to incorporate social media into your marketing strategy. Doors open at 8:30 for the workshops. Tickets are $10 each or two for $15 and may be purchased at the door. General Admission for the Authors Book Fair is 11:00.